Double-ended tool is made of stainless steel to disinfect and keep rust-free. 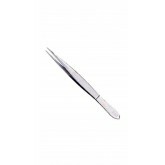 Flat loop is used to press out blackheads, thin loop is used to roll out whiteheads. 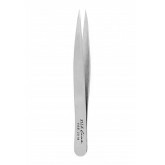 Excellent all-purpose tweezers made of stainless steel. 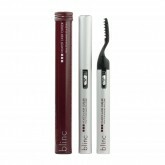 Smooth and sturdy construction for excellent results. 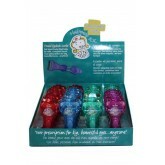 Rounded metal crimper is cushioned to ensure a curl that won't damage eyelashes. 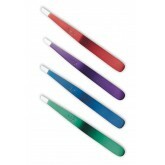 Ideal for shaping brows and plucking stray hairs, available in red, blue, green and purple (one tweezer per item number). 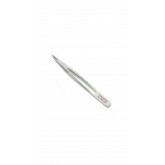 Fine point tweezers are great for any precision work, removing unwanted hairs, splinters, and more. 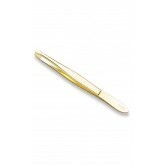 Stainless steel, anti-magnetic. 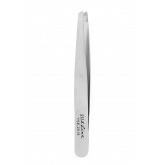 Featuring a claw-style locking tip, these tweezers have a flat edge to grip hairs and pluck without slipping. Lightweight stainless steel slant-tip tweezers are ergonomic, designed to ensure precise tweezing. Two tweezers in one! 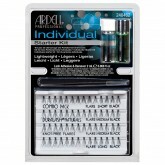 Pointed tips remove fine hairs, slanted edge is great for eyebrows. Stainless steel. 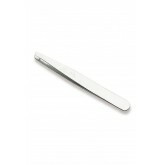 Stainless steel anti-magnetic tweezers have a fine tip to help remove splinters. Good for any precision work. 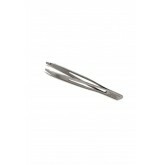 Stainless steel anti-magnetic tweezers are good for accurate tweezing and plucking eyebrows. 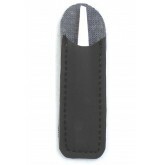 Stainless steel lightweight ergonomic design ensures precise work. Super fine tip to remove ingrown hairs and splinters. 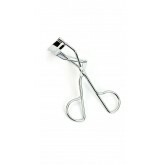 This travel eyelash curler is available in assorted colors, makes eyelashes seem longer.